Theatre and Dictatorship in the Luso-Hispanic World explores the discourses that have linked theatrical performance and prevailing dictatorial regimes across Spain, Portugal and their former colonies. These are divided into three different approaches to theatre itself - as cultural practice, as performance, and as textual artifact - addressing topics including obedience, resistance, authoritarian policies, theatre business, exile, violence, memory, trauma, nationalism, and postcolonialism. 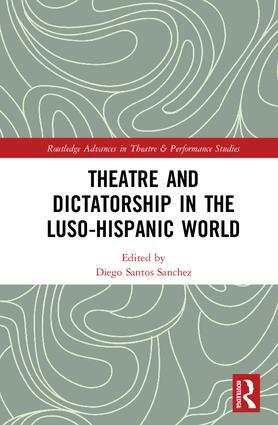 This book draws together a diverse range of methodological approaches to foreground the effects and constraints of dictatorship on theatrical expression and how theatre responds to these impositions. The politics of community and place in o bando’s Nós Matámos o Cão Tinhoso! Diego Santos Sánchez is a researcher at the Universidad de Alcalá, Spain.